Begin your walking tour of Patzcuao at the Breakfast Market, across the street from Plaza San Francisco, under the portals on Calle Codallos. You will see giant cauldrons bubbling on stoves and many happy people eating. It’s Mexican breakfasts at its best, with atole, corrundas and tamales. Find the longest line and get in it. 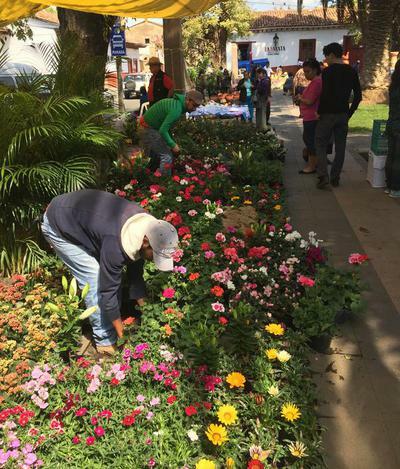 By 9am, Friday’s Pottery and Plant Market in Plaza San Francisco is in full swing. The outside periphery has flowering trees, blooming bushes and potted plants. 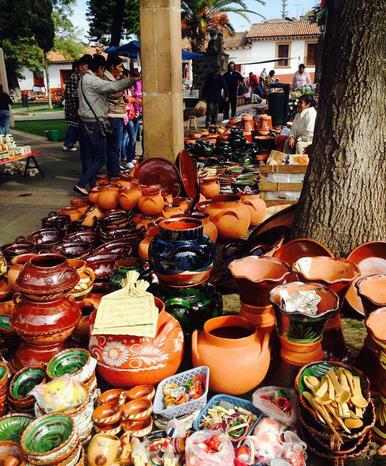 Inside the Plaza is a wide variety of ceramics, including commercial pots and hand-painted items from Capula and Tzintzuntzan. The basket weavers, against the side wall, are my favorite. 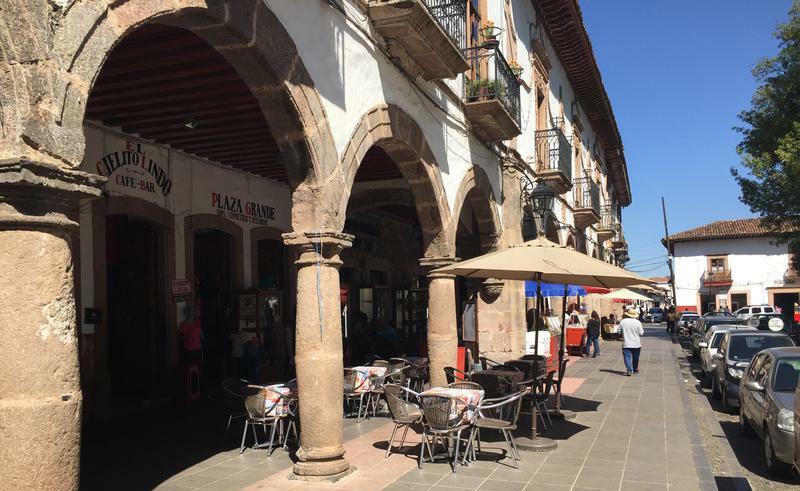 Continue down Paseo Teran to the Plaza Grande, turn left and stroll the plaza. . Walk down the portals and notice the Tourist office on the left. It’s a great place to get maps and sometimes collectable posters of area events. Check-out the right side, with the outside espresso and ice cream stands. Near the corner, is Surtidora (The Office), opened in 1916 and one of the oldest eateries in town. 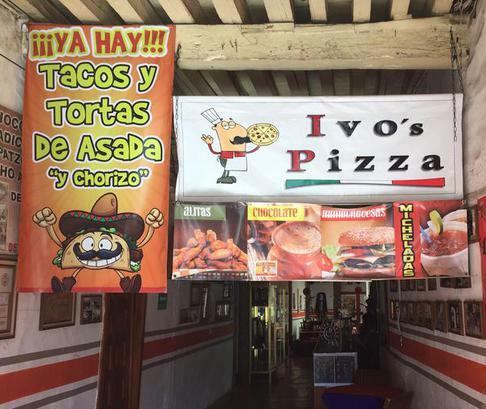 They have immaculate restrooms, free wi-fi inside and the best molletes in town. Hint: substitute bacon for ham. 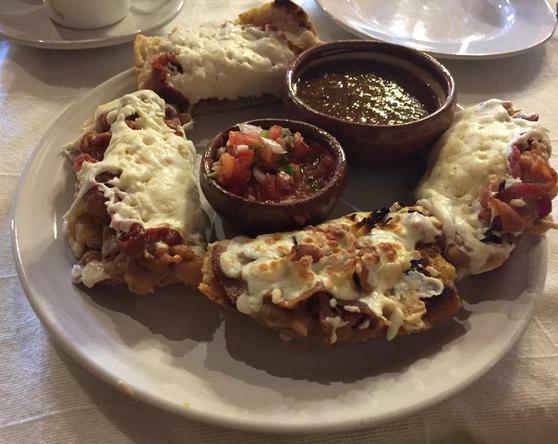 Halved, crisp rolls, smeared with refried beans, layered in bacon, smothered in cheese and grilled. Drench with the fresh pico de gallo and enjoy. 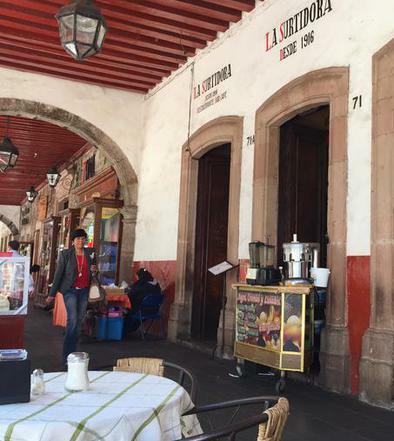 Follow the portals around the Plaza Grande to the right, with more coffee shops and delicious chocolate cake. At the end of this side, notice Ivo’s Pizza and Bakery. I should warn you that while his breads and pizza are the best in town, Ivo is know for his chocolate brownies. You have been warned. Primer Piso, a favorite restaurant, is now closed, but there is hope for a re-opening. On the next corner of the plaza is El Naranjo, recently renovated. As you enter on the right side is Suenos, a fabric boutique. Behind that, El Kiosco, a gift store, and in the courtyard is the new restaurant, El Naranjo. At the back is the hotel. 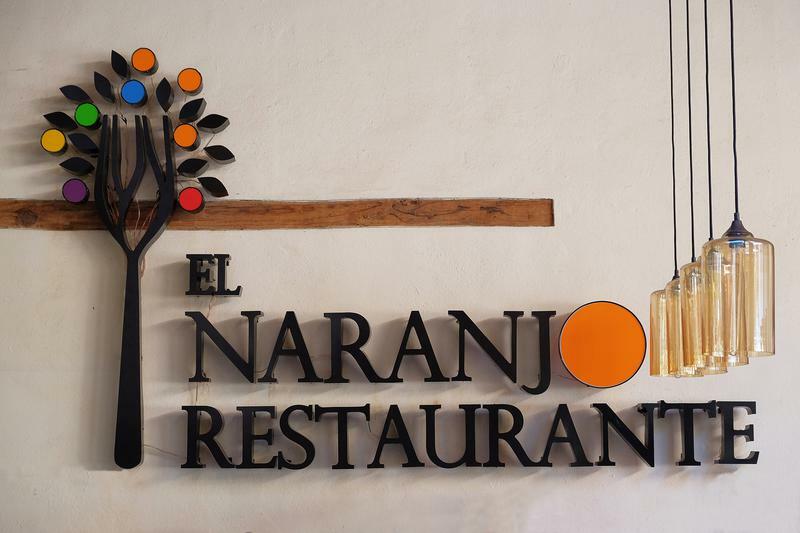 Spanish Lesson: "la naranja" is an orange; "el naranjo" means the orange tree, in the middle of restaurant. Need some organic produce or Oaxacan-style tamales? Traipse up the hill to Posada Yolihuani, Dr. Coss #40. Shop the Buen Provecho Mercado every Friday, from 11am to 1:30pm. They have bread, cheese, supplements, organic produce and more. 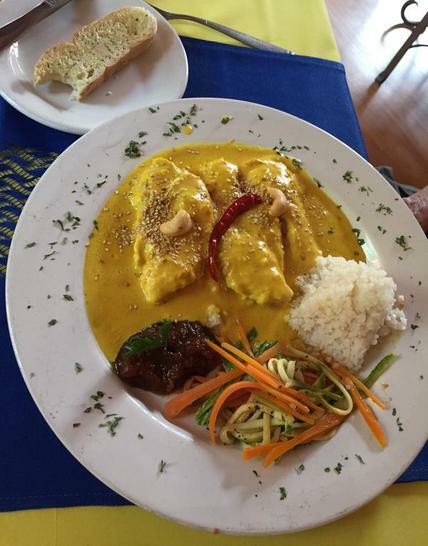 Look for a variety of prepared ethnic dishes, and hope for the cupcakes, especially the carrot cake. 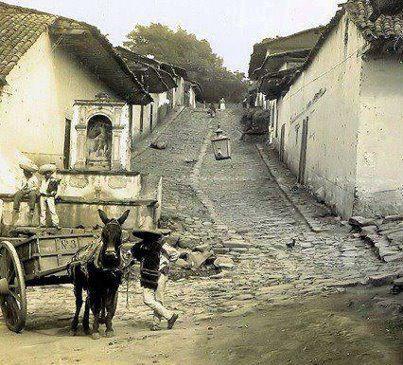 As you leave Yolihuani, walk back down Dr. Coss. 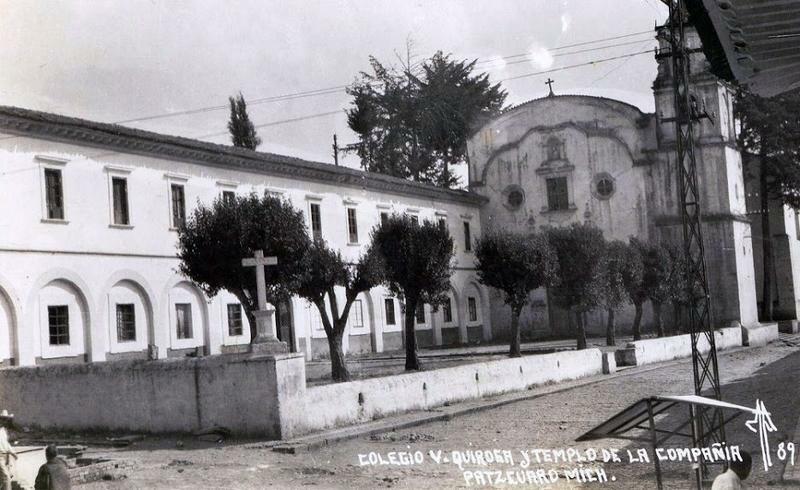 At the corner of Navarrete Steet, notice the remains of a former water basin, the Pila de San Miguel. These basins dot central Patzcuaro and were their source of fresh water. 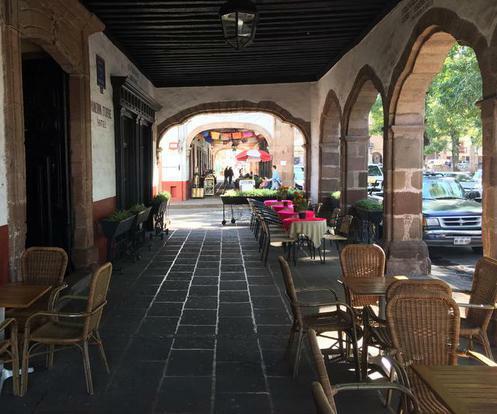 Continue down Dr. Coss, past Casa Encantada, TripAdvisors Number 1 B&B in Patzcuaro, and turn right into the large cobblestone walkway to Eleven Patios. 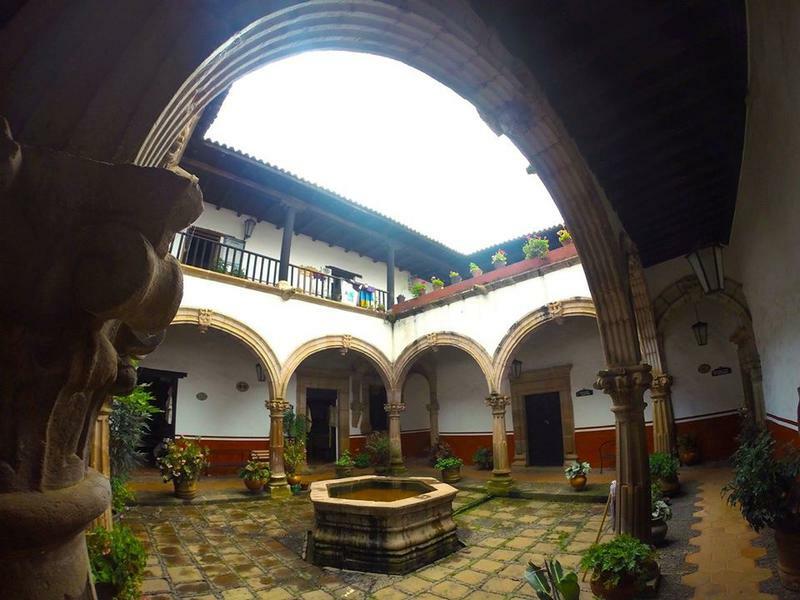 The Courtyards are spread around this ancient Dominican convent, built in the 1740’s. 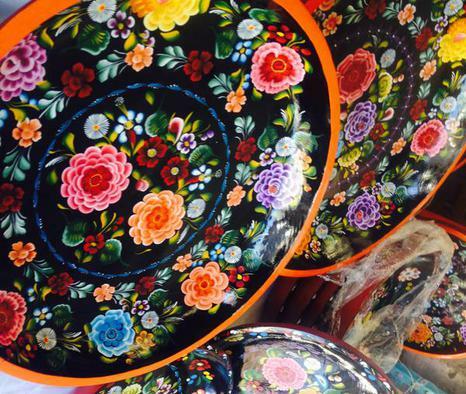 Roam the Escher-like-drawing of patios and discover some of the best crafts in Michoacan. Meander through the labyrinth of workshops to the embroidery at the top, back, corner. In another maze watch one of Patzcuaro`s artisans create exquisite lacquerware trays, plates and chests, with beautiful, intricate patterns painted in gold on a black background. Strum a handmade guitar from Paracho. Gaze at mask makers from Tocuaro. Gawk at Catrina Dolls from Capula. When you leave the craft stores, turn right and walk up the top of the hill. Turn left at top, and on the other side of the street, on the corner, things are starting to get busy at the Centro Cultural Antiguo Colegio Jesuita. 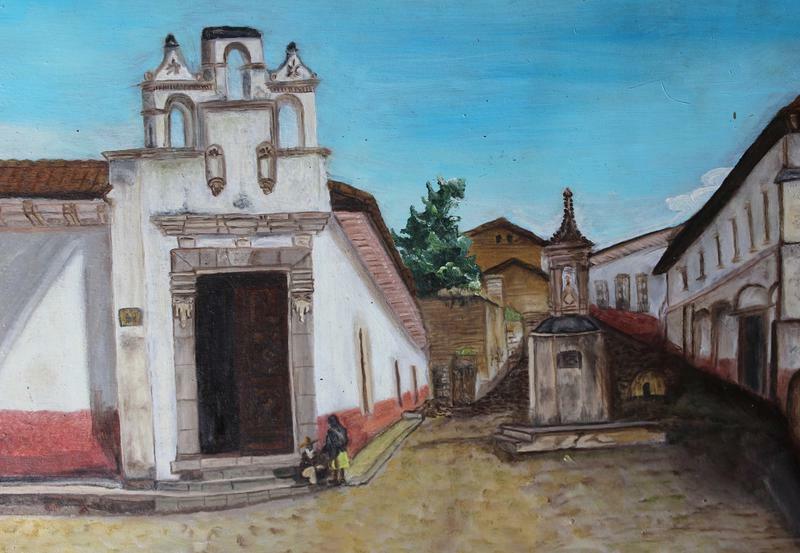 The ex-Colegio has about half-dozen galleries of the best artists around. Hours are 9am-2pm and 4pm-7pm. Friday’s at 7pm is the gala opening of new exhibition galleries. Meet the artists and see their new work. 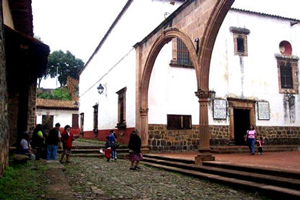 The birthplace of Patzcuaro is thought to be located between the ex-Colegio and the Folk Art Museum. 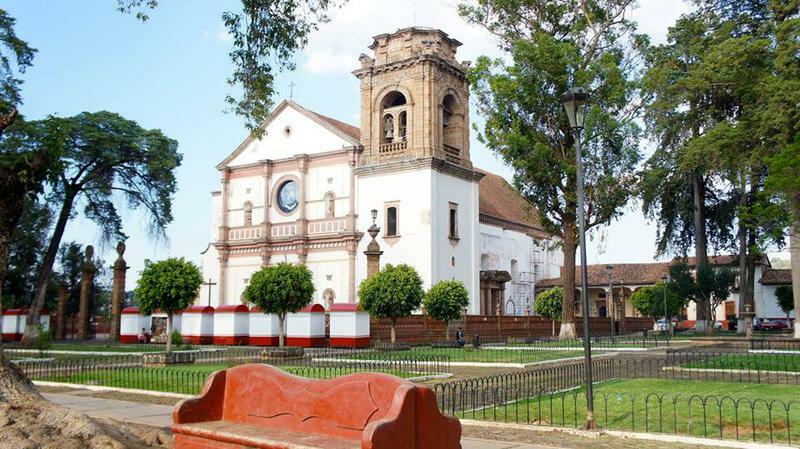 The commemorative statue is on the site of the original spring where Patzcuaro was founded. There are at least a handful of springs on the ridge running between Lerin and Dr. Cos.
Rick Davis, of Galeria el Manantial in front of the statue, believes the monument was erected by Lazaro Cardenas. The actual historic spring is located on the left, against the building and back further. You can still look down and see the steps going down and a beautiful old cantera conch to the side and below ground level. 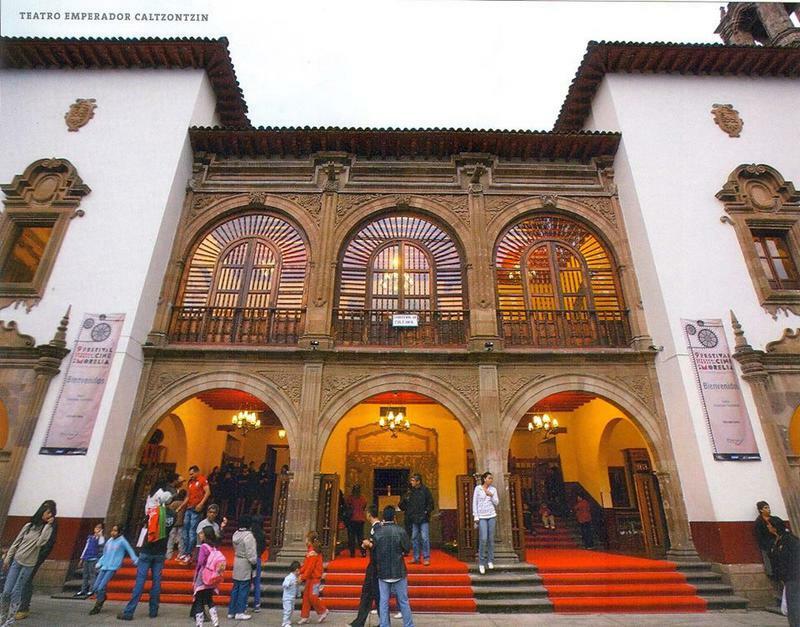 Next is the Museo de Artes e Industrias Populares, the Folk Art Museum. 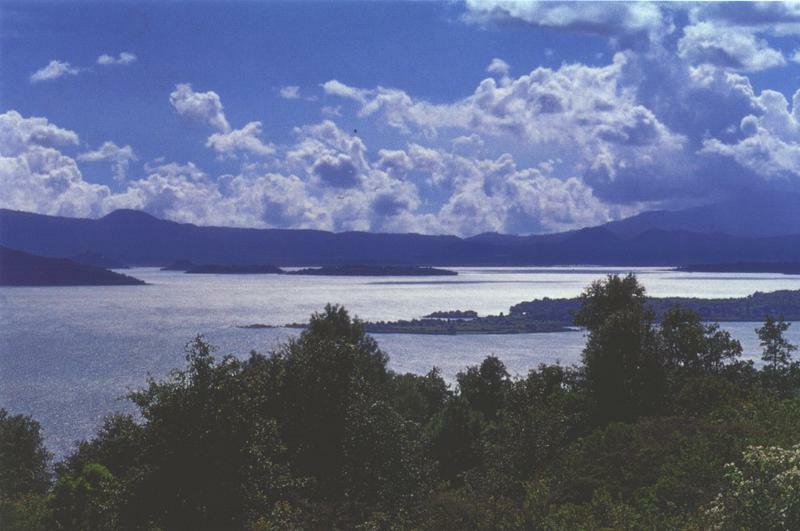 The history of Lake Patzcuaro is at America’s first University and the story of its people is told in the crafts they created. 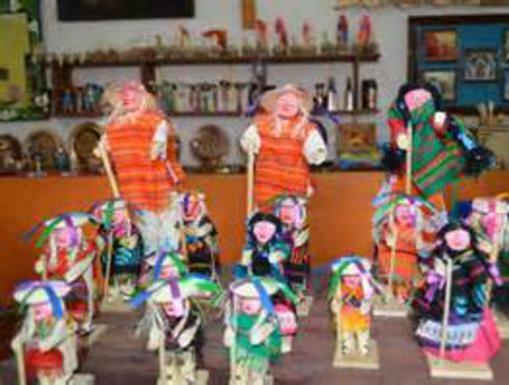 In the back of the museum, don’t miss the troje, the authentic wooden homes of the Purepecha indians. 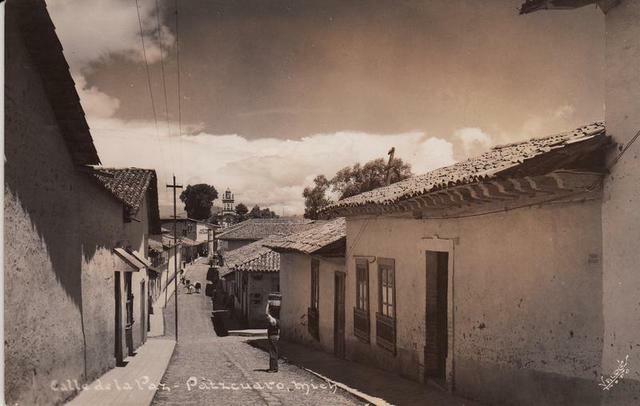 As you are enjoying the beautiful treasures, remember that across the street is Lupita’s, one of Patzcuaro’s favorite restaurants and the best margaritas in town. Their breakfasts are legendary and their Chicken Fajitas, with bacon, is my favorite food in town. 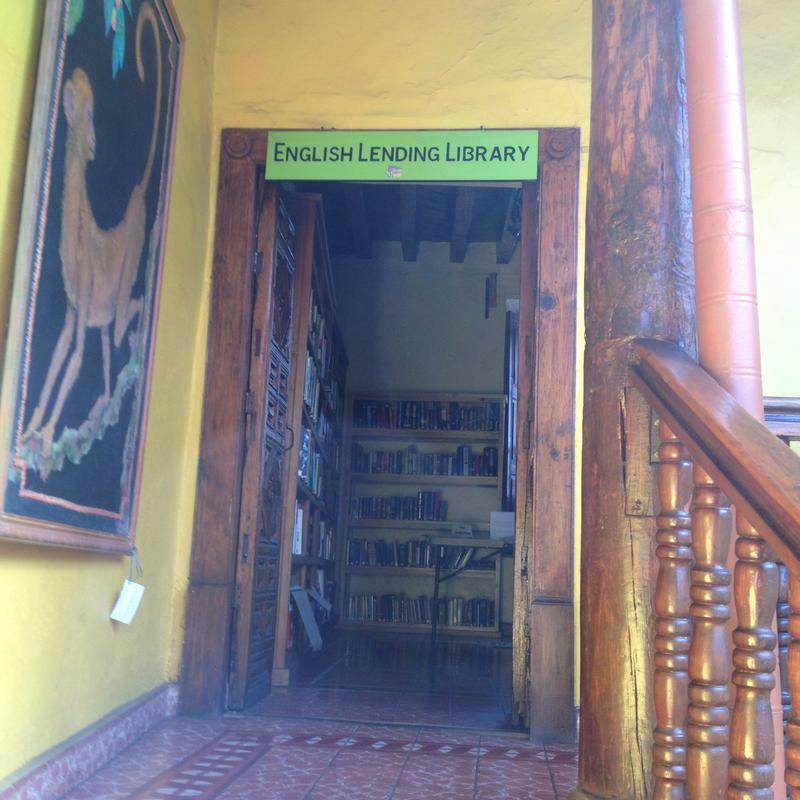 Upstairs at Lupitas is the Lending Library. 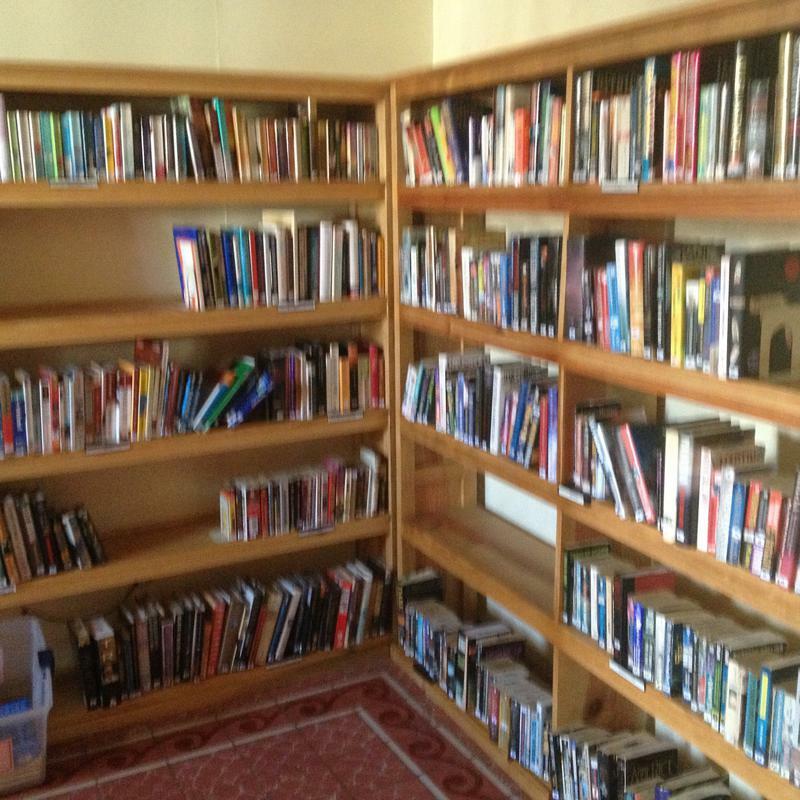 Anyone can borrow a book, as long as your can return it. From the museum, cross the street and you are at the beginning of Gallery Row. 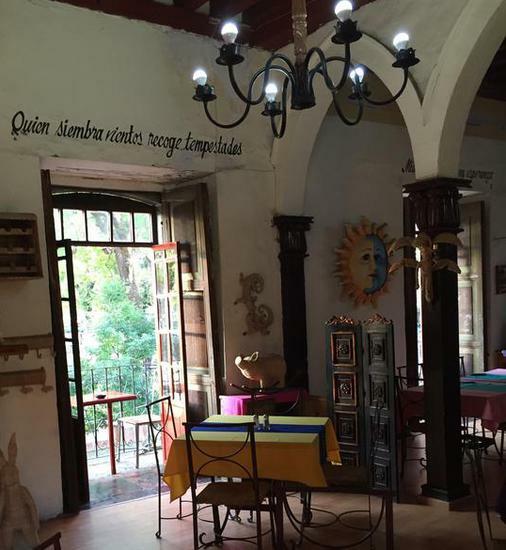 Visit Galeria el Manantial, one of the nicest galleries in Patzcuaro. Unique gifts are their specialty. Continue north on Arciga towards the Basilica and view a dozen or so galleries and shops. Walk in and enjoy the Galerias del Arcangel, El Arco, the copper store from Santa Clara, and La Mano Grafica print gallery and exhibition hall. Walk across the street and inside the Basilica. You can’t help but notice "Our Lady of Health", created in the 16th century from corn-stalk paste and honey. If there are no services, you are welcome to go behind the statue, walk up the stairs and touch her robe. Miracles have happened in this Basilica. 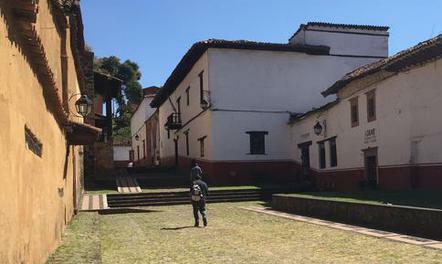 From the Basilica, go down the hill on Calle La Paz, to the Plaza Chica. Notice ahead of you the ageless water basin, the Pila de Torito. Turn right at the Plaza Gertrudis Bocanegra and stroll around Plaza Chica. Don’t forget to have your shoes shined. It’s the best $20 pesos ever spent. At the opposite side of the plaza is the Gertrudis Bocanega Library, which occupies a 16th-century former San Agustin church. 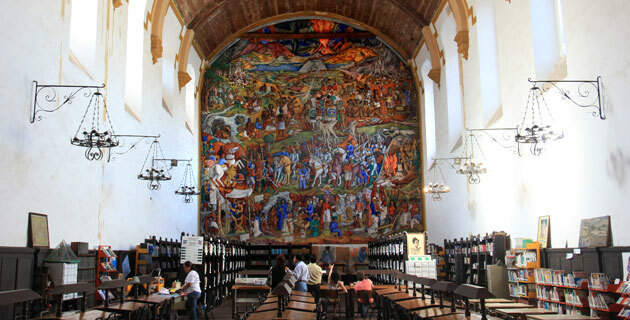 In back is the giant mural painted by Juan O’Gorman, depicting the history of Michoacan. Beside that is the recently renovated Theater Emperador Caltzontzin. If it’s open, enjoy a cup of coffee and ask to see the spectacular theater. 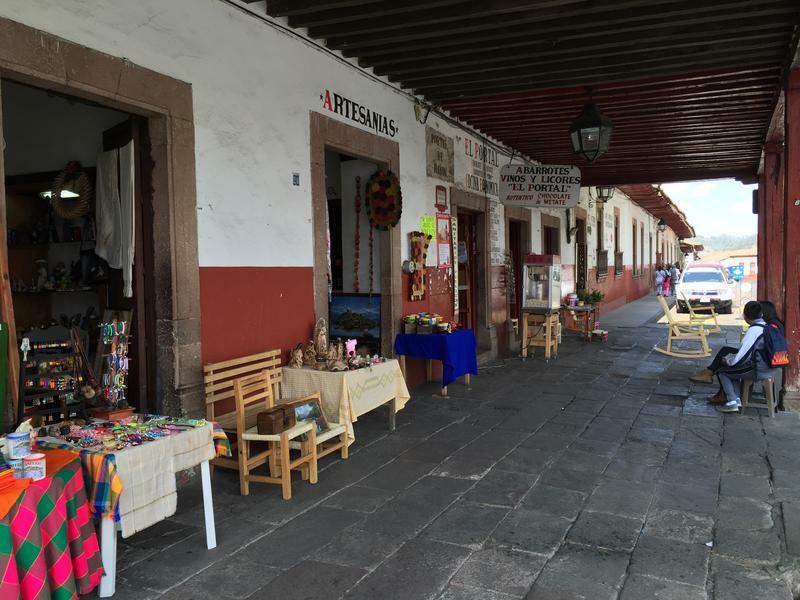 Friday is Patzcuaro’s traditional market day. Mosey around. 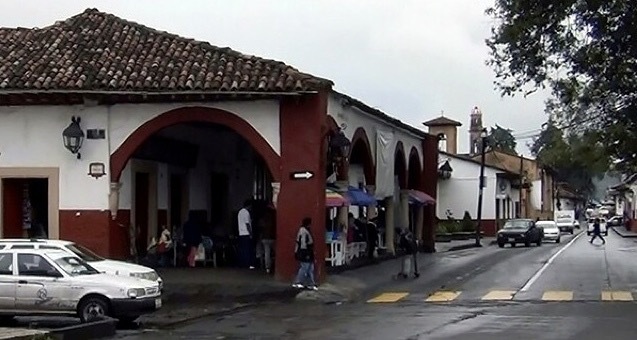 At the entrance to the market, there is a permanent food stand with the best torta sandwiches around. 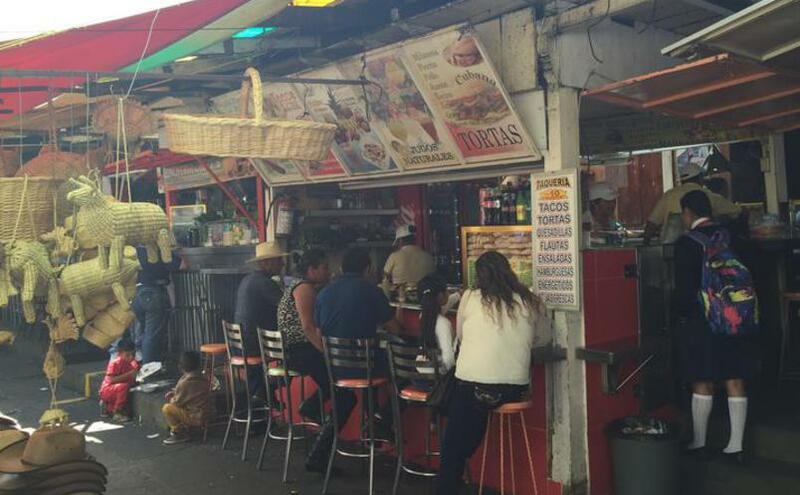 “Taqueria 10 Primos” is always jammed packed, and once you eat there, you will know why. There is something for everyone at that market. Continue through the market, about 2/3 of the way down the market, take the first left at the cross roads and exit the back of the market on Calle Codallos to view the Santuario de Guadalupe Church. Beside it is the Barters Market. No buying or selling, just bartering, for the most part. If you are looking for one more thing to do, continue down Codallos, returning to the beginning of the tour, the Plaza San Francisco, where everything has changed. It’s not the market anymore! It’s DANCING! Every Friday evening, the Plaza is filled with dancing and music for everyone. 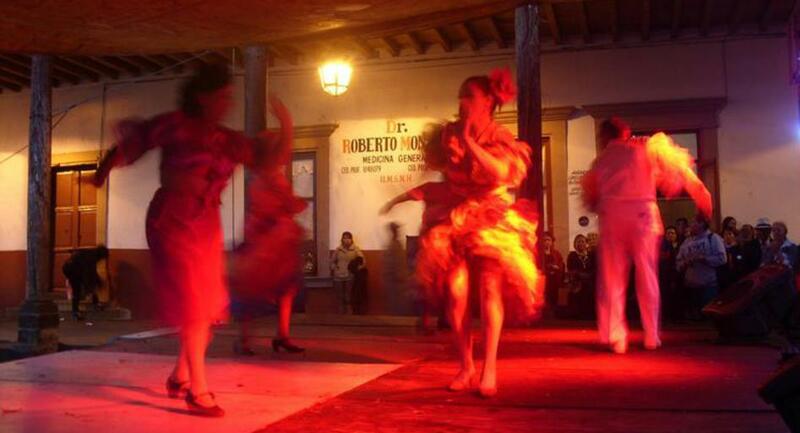 Festivities begin at 7pm when you can view and join in dancing the salsa, cumbia, rumba and more. If it’s raining, they dance in the portal. I have probably skipped more things to do than I have named. 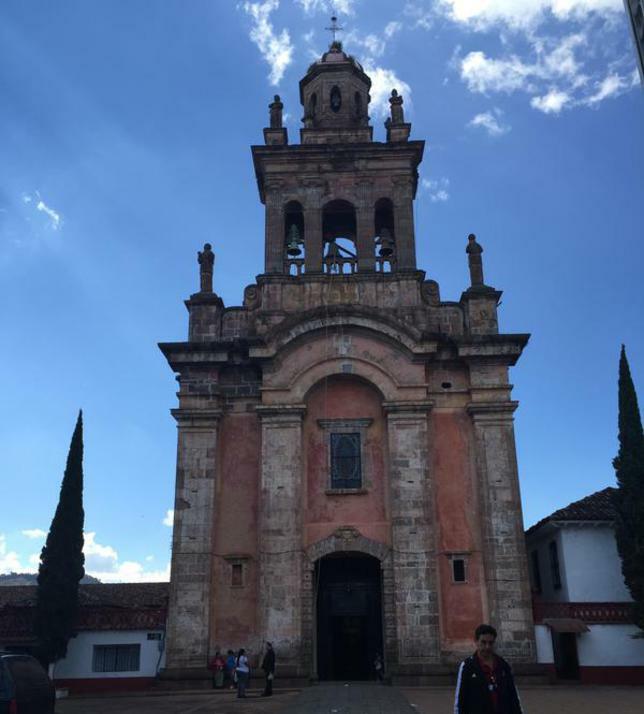 There is too much to see and do in Patzcuaro!